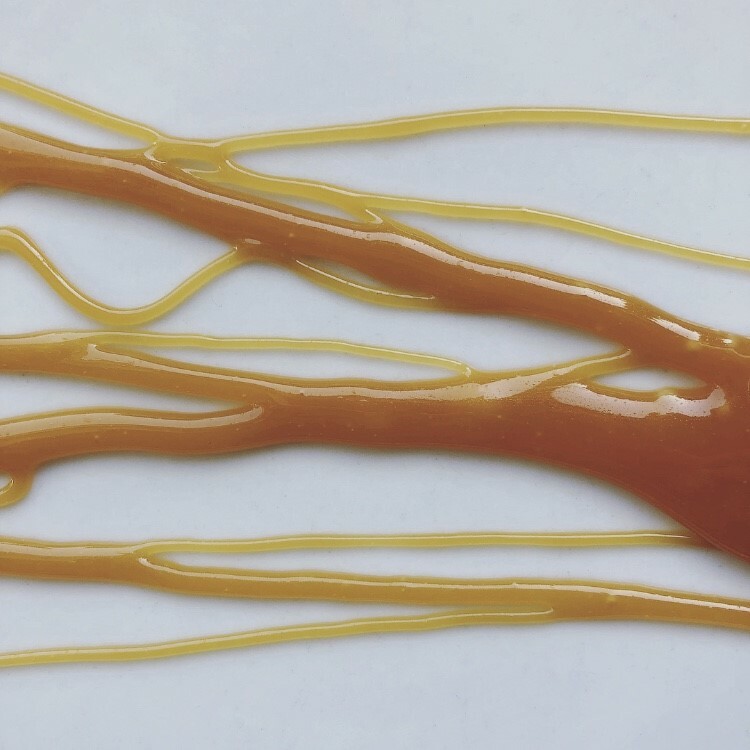 This caramel makes me smile, and it's vegan without even trying. Heat the cream of coconut until luke warm. You can do this on the stove top or microwave. Add the vanilla to the cream. Set aside. In a 2-quart sauce pot, combine the water, corn syrup, and sugar. Shake it around a bit to make sure the sugar is evenly wet. Cover the pot and cook the mixture without stirring over medium heat. Once the mixture has started to boil, remove the lid and increase the heat to medium-high. Do not stir or disturb the pot. Stay with the pot, watch for it to turn from clear to a light caramel color. Once this happens, let it go a bit further until a deeper amber color. You may see a few wafts of smoke. That means you have bravely taken it far enough. Remove the caramel from the heat and whisk in the warmed vanilla coconut cream. It will bubble up, be careful of the steam! Once the mixture is smooth, whisk in the coconut oil, salt, and vinegar.